Welcome to Tampa, a lovely, and lively, city located on the west coast of Florida near to the Gulf of Mexico. With an abundance of water activities, performance art venues, and a world-famous nightlife, Tampa is sure to please everyone. As part of the larger Tampa Bay Area, this city is continuing to expand and has been voted by Forbes as one of the best places to live. This area was once inhabited by indigenous peoples including the Tocobaga and the Pohoy. There were no permanent European settlers until after the U.S. acquired Florida from Spain in 1819. You'll discover a vast selection of architectural designs in Tampa. We offer the absolute best options for your tours and cruise shore excursions in Tampa, US! Cruise along the Tampa Clearwater bay! Professional and experienced Captain and crew! Outdoor strolling decks to enjoy the views! Narrated views of Tampa's breathtaking skyline! Cash Bar and Buffet Lunch available for purchases! 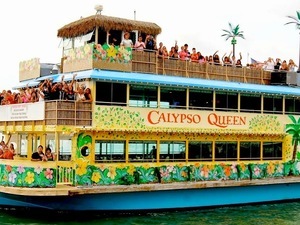 Relax and experience the beauty of Clearwater Harbor in this Tampa Excursion and navigate the intra-coastal waterway on the 3-story Calypso Queen paddleboat. This afternoon cruise features live narration, picturesque panoramas, possible dolphin sightings, and tropical fun! Dance aboard the luxury Majesty Cruise! Cash bar available for purchases! Outdoor strolling decks to enjoy the stars! Ready for a dazzling night out? 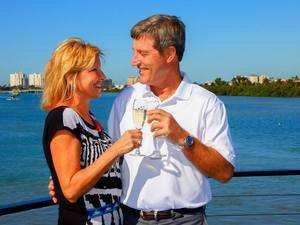 This Majesty Evening Dance Cruise offers great live entertainment and dancing with some of the best, ever-changing waterfront views in all of Clearwater Bay or the St. Petersburg Beach area. Entrance ticket for the Museum of Science and Industry! Fun, interactive 450 hands-on activities! 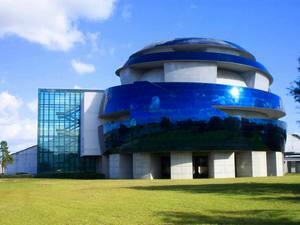 Florida's only IMAX Dome Theater! Children's Science Center, the largest in the Nation! Experience over 450 hands-on activities at Tampa's Museum of Science and Industry, the largest science center in the southeastern US, featuring over 400,000 square feet of exhibits on technology, health, the human body, natural disasters, astronomy, flight, and space. Watch dolphins in their natural habitat! Observe a variety of birds! Buffet lunch and one complimentary beverage! 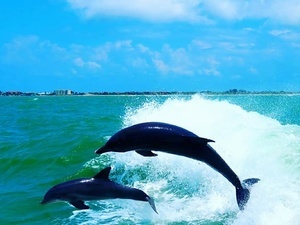 This combo excursion offers the best waterfront views of Clearwater Harbor and the inter-coastal waters, fantastic food, dolphin-watching, and live entertainment.